When Lewis Barnavelt, an orphan, comes to stay with his uncle Jonathan, he expects to meet an ordinary person. But he is wrong. Uncle Jonathan and his next-door neighbour, Mrs Zimmermann, are both witches! Lewis couldn't be happier. What's not to like about seeing his uncle practise spells and eating Mrs Zimmermann's delicious cookies? At first, watching magic is enough. Then Lewis experiments with magic himself and unknowingly resurrects the former owner of the house: a woman named Selenna Izard. It seems that evil Selenna and her husband built a timepiece into the walls - a clock that could obliterate humankind. 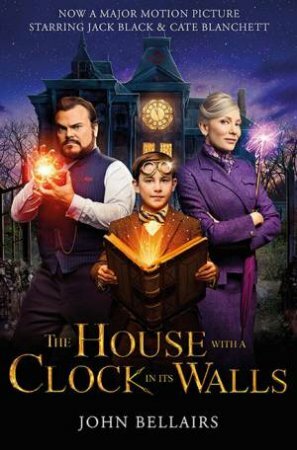 As the clock can be heard ticking away in the house all the time, sometimes louder, sometimes quieter, sometimes faster, sometimes slower, it is up to the Barnavelts to find where it is hidden in the walls - and stop it.